Information like which side a part fits (LEFT or RIGHT) and specific vehicle attributes (Transmission, AWD/RWD, and other vehicle exclusions) are included for your information in this LEFT COLUMN. The image USUALLY shows all the pieces (and qty) included with the part. The engine types may include 3.5L 3498CC V6 GAS DOHC Naturally Aspirated. This part fits vehicles made in the following years 2003, 2004, 2005, 2006, 2007, 2008. 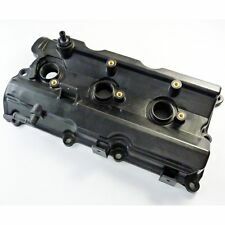 BECK/ARNLEY supplied your vehicles manufacturer with the Engine Valve Cover. Engine code: VQ35DE, VQ40DE. Full Gasket Set. 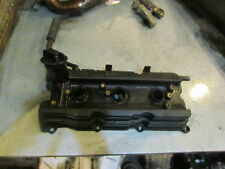 Valve Cover Gasket Set. Head Gasket Set. 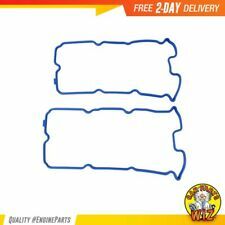 Lower Gasket Set. 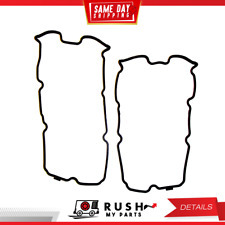 Rush My Parts will not be responsible for any labor, towing, fluids, Freon, filters, lodging, and car or truck rental. Includes Gasket. Driver's side Engine Valve Cover. Save on Both Sides! Get both driver's and passenger's sides for less. Our hours of operation are Need the Other Side Instead?. 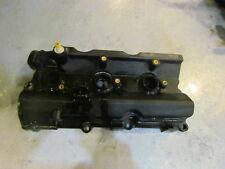 Passenger's side Engine Valve Cover w/ Gasket Kit. Includes Gasket. Our hours of operation are Match reference numbers from the Item specifics section above. We at Phileocom understand that parts for automotive repair are a necessity item. When cars breakdown, car owners are left with little alternative than to fix them up again. 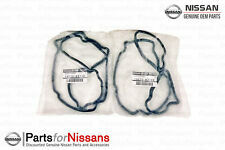 We have taken it upon ourselves to help in this process by providing a wide network of car parts at a reasonable price. Carbon fiber item is Surface glossy finished. Use 3K twill weave real carbon fiber material. Delicate handcraft by carbon fiber. Specialist on body kits and carbon fiber products. - Due to characteristic of carbon manufacture, tiny air bubble, wavy weave or blemish on the clear coat is inevitableand we DO NOT classify this as im-perfection. Part #: VCS554R. ABOUT THE PART Cross References. DOES NOT cover failures due to Local pick up is available from our warehouse. Pair of Engine Valve Covers. Includes Gaskets. Our hours of operation are Match reference numbers from the Item specifics section above. Driver's side Engine Valve Cover. Includes Gasket. Our hours of operation are Match reference numbers from the Item specifics section above. This part is sold as a PART NUMBER ONLY. Information like which side a part fits (LEFT or RIGHT) and specific vehicle attributes (Transmission, AWD/RWD, and other vehicle exclusions) are included for your information in this LEFT COLUMN.